ZENTIH crushers, grinding mills, screening and sand washing machines are widely used in construction and mining industry for manufacturing building aggregates, sand gravel and ore processing. These machines are of high-power and low-consumption. 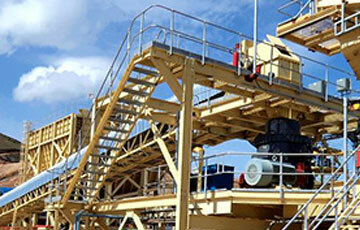 ZENTIH not only offer single machine, but also provide crushing and grinding solutions for every application. In the following parts: industrial solution and knowledge hall, you will get more details about ZENTIH mineral equipments for sale. ZENTIH with full name: ZENITH coming from China is a professional manufacturer of stone crusher, grinding mill, optional equipments, and related mining equipments for sale in mining industry. Jaw crusher is the widely used primary stationary crusher and crawler type mobile crusher is the new model crushing equipment in recent years. ZENTIH can supply you PE series jaw crusher, JCE type jaw crusher with European crushing technology and mobile jaw crusher station etc.